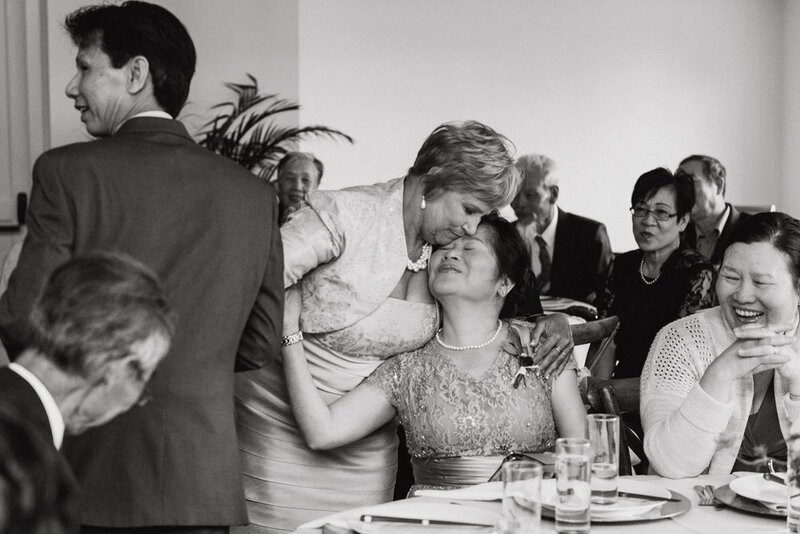 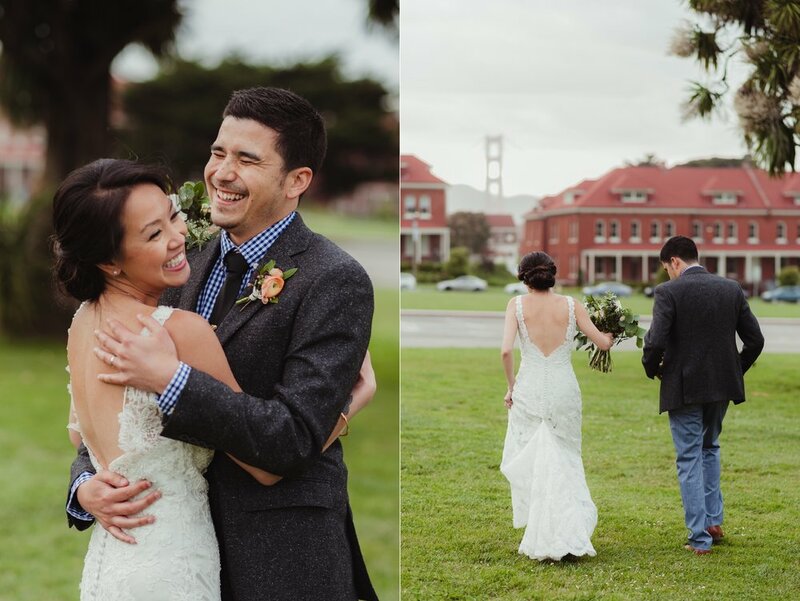 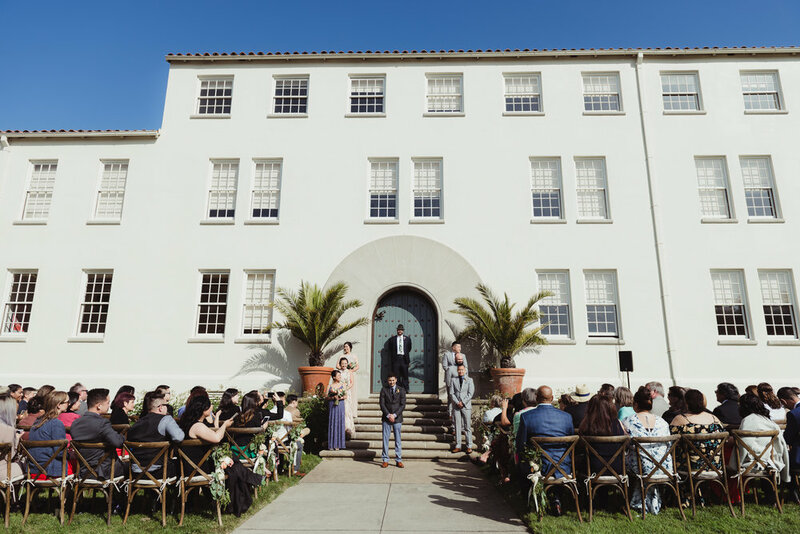 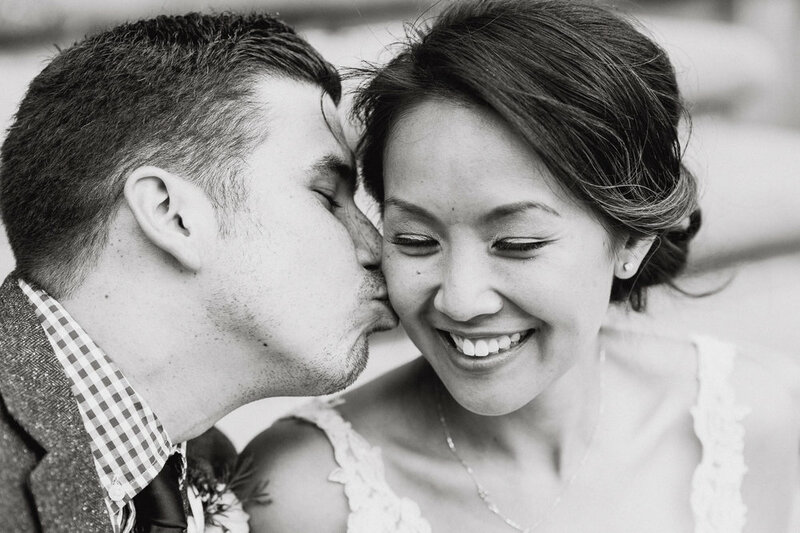 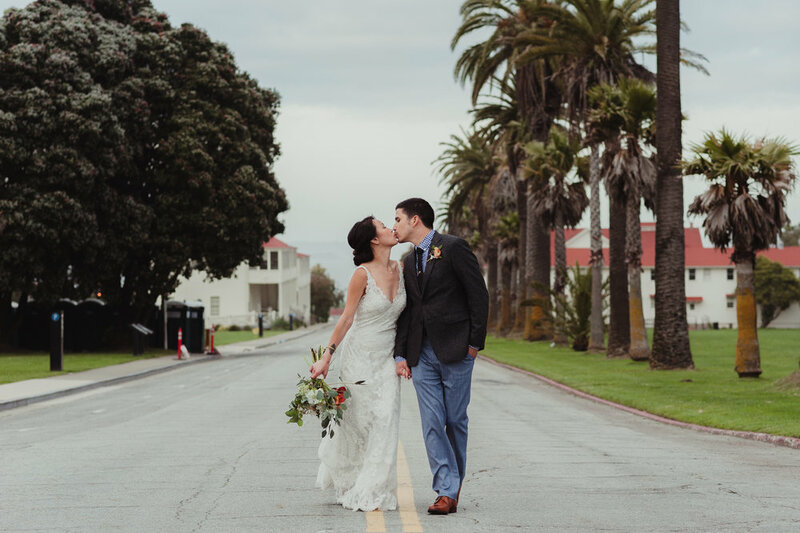 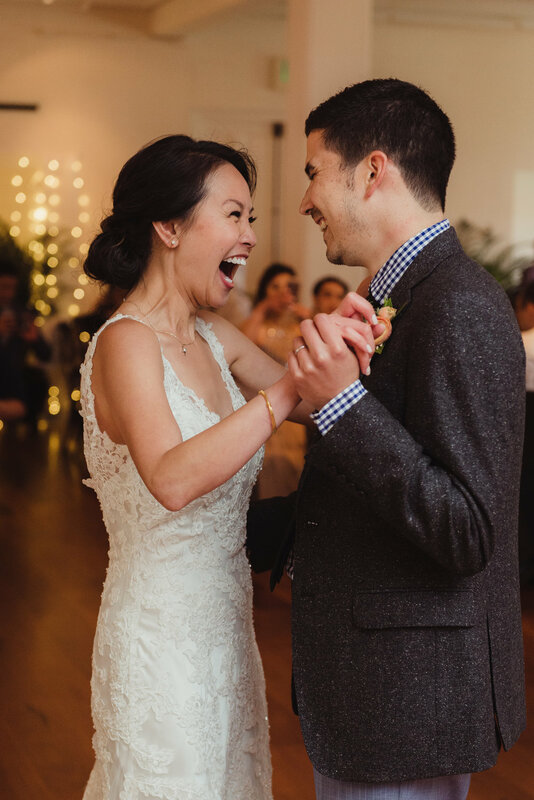 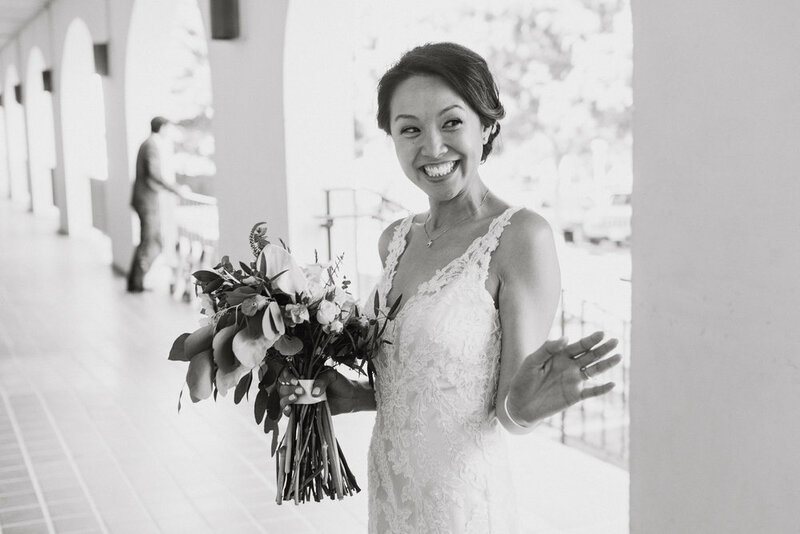 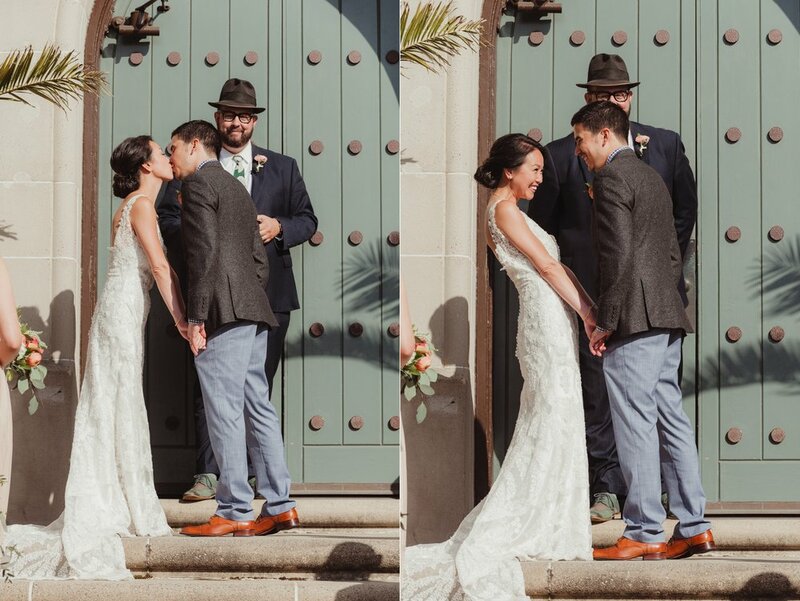 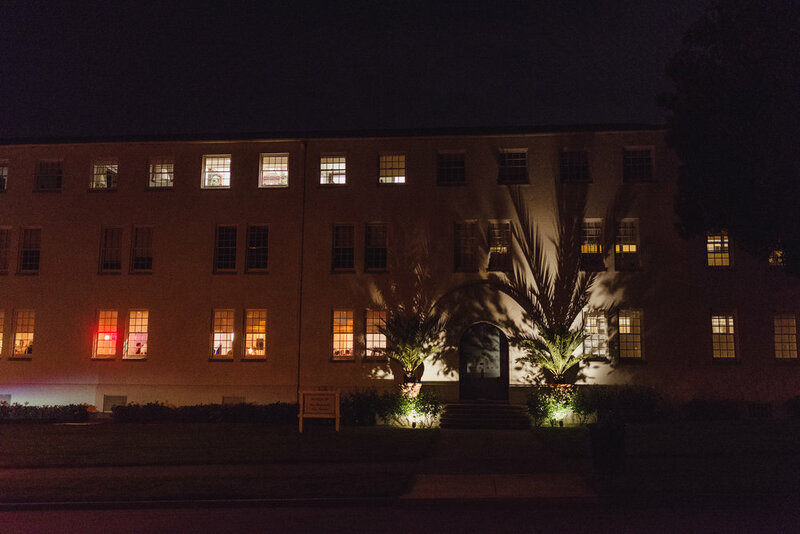 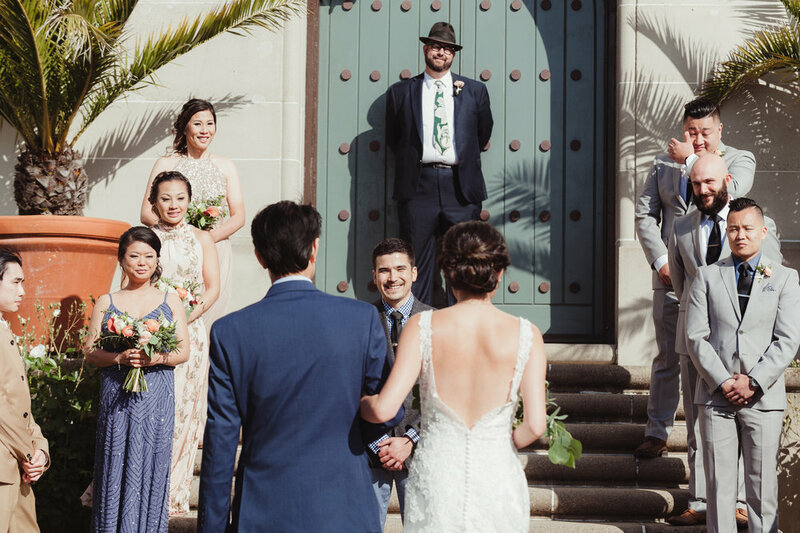 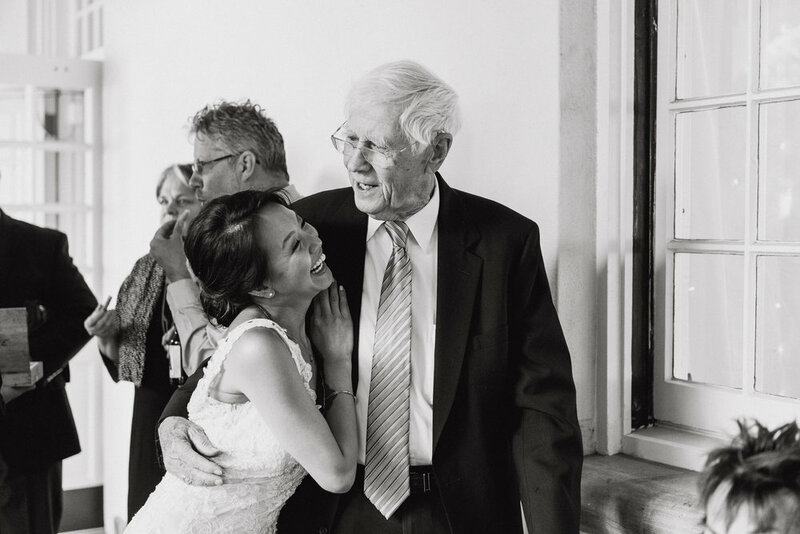 Polly and Greg were married on a warm spring day at the San Francisco Film Centre in the Presidio. 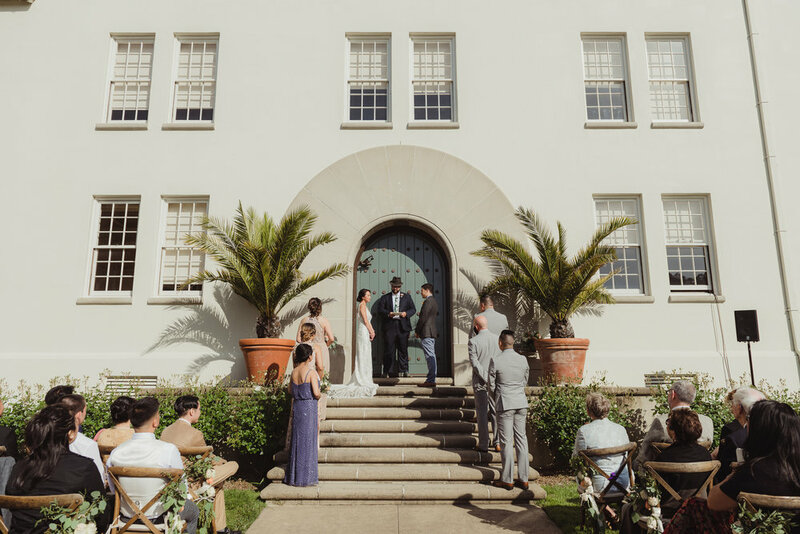 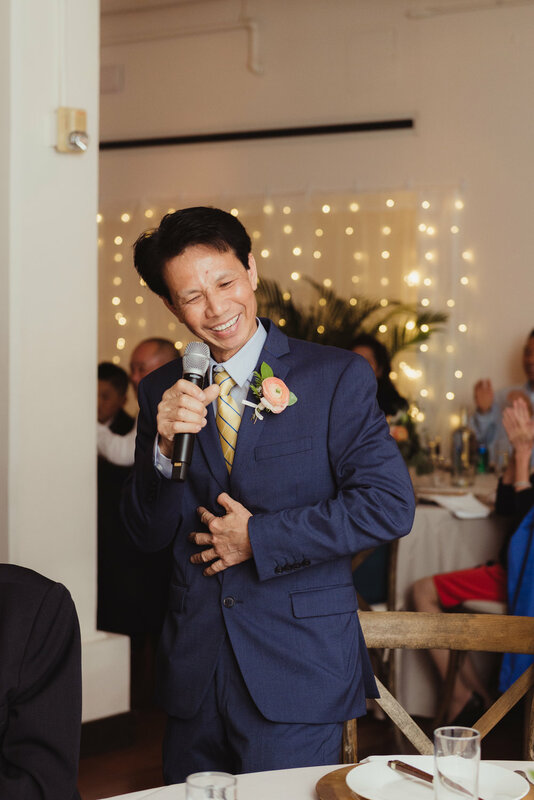 Their ceremony, officiated by Greg's hilarious step-brother, was held in front of the iconic blue doors with a view of the Golden Gate Bridge behind them. 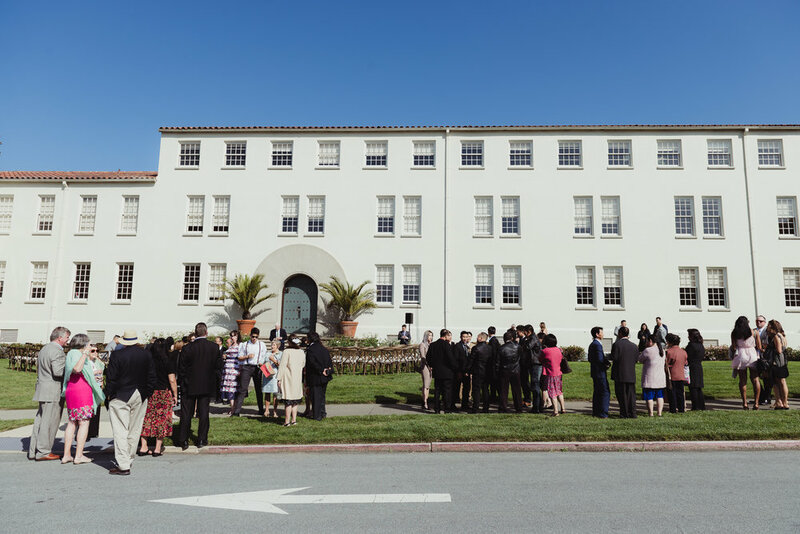 Afterwards, their guests were treated to cocktails and lawn games before the multi-course dinner inside the historic centre's reception hall where toasts and dancing kept the party going!